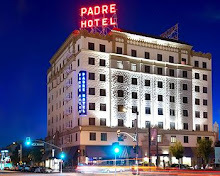 * ... GO IRISH: Heard from the "Notre Club" of Bakersfield that six local kids are heading to the University of Notre Dame in South Bend this fall. They will join a freshman class of only 2,035 students selected from more than 14,500 applicants. Two graduated from Wasco Union High School-Moises Martinez and Daniel Sanchez. Others include Nicole Madrilejo, Daniel Yi, Eric Andrew Whittington and Brandon West from Garces Memorial High. Thanks to Dean Bears for bringing this to my attention. * ... CRIME WATCH: The summer of burglaries and break-ins continues. In the past week I've heard of a burglary on 20th Street in Westchester (committed mid morning), two in La Cresta (one of them another mid morning break-in) and two cars broken into, one near Bakersfield Country Club and the other at Beach Park. Be careful and keep those alarms on. it angers me to hear these things said." * ... ACTION SPORTS: Reader Kim Wiens weighed in on my earlier post (read the full post here) regarding the remarkable number of kids who have worked for Kerry Ryan at Action Sports and gone on to successful professional careers. "Both of my sons, David and Robert Wiens, were lucky enough to work at Action Sports back when it was located in the Town and Country Center. I can't thank Mr. Ryan enough for all that he taught them about hard work, customer service and running a business. That real work experience has served them so well in every job they have had since. 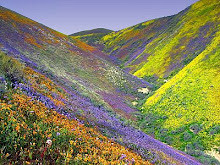 David is currently enrolled in the Full Employed MBA program and UCLA and working as an engineer for a steel company. Rob is a bartender at RJs." * ... CSUB GRADS: Nice to hear that two graduates of CSUB's nursing program have been accepted to the University of San Francisco Doctor of Nursing Practice program. They are Cynthia Jane Anderson and Ashley Lorenzo. According to the students, only 10 applicants were accepted into the cohort, with two of them from CSUB nursing. 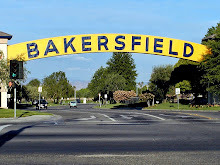 * ... EAST BAKO: From reader Larry Miller, recalling old Bakersfield. "Interesting note about Fred Schaffer's Stamp and Coin Shop in east Bakersfield. He was originally in a tiny store front shop on 20 Street between Chester Avenue and K Streeet across the street and around the corner from 'Painless Parker's' (he wasn't) second story dental office above a Thrifty Drug Store. Fred also sold model airplane kits that I loved to build. I was in junior high school and liked to stop in Fred's shop to see what new model kits were available. This was after making deliveries of false teeth and dentures after school on my bicycle to various dentists around town. These dentures were made by S. R. Creasy in the same building as 'ol Painless.' I earned $5 a week if I got there every day, and half a day on Saturday if I got there on time; but if I was late, then the old tightwad would dock me a dollar. 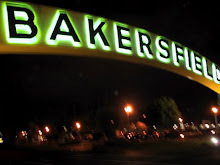 * ... BAKERSFIELDISM: You know you're from Bakersfield when "the stranger who stops you for directions is looking for a prison."